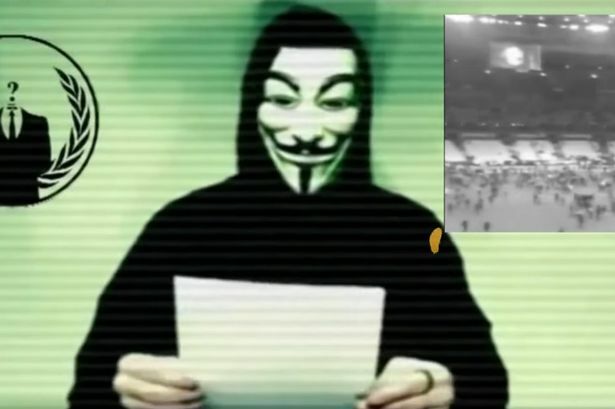 Anonymous have released a statement declaring all-out cyberwar on the ISIS organization, threatening to intercept all their communications and take down all their online bank accounts. The threats follow the atrocities committed by ISIS on Friday, which left 129 dead and hundreds more injured, many of them critically. “And you clearly have no respect for human life and evolution. We are coming to get you, we will be hitting you harder than ever. 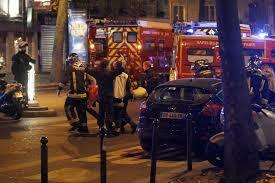 A statement released online by supporters of the Islamic State (IS) organization claims that the extremist group is behind the attacks that took the lives of 127 and injured hundreds of others in Paris last night. The statement was released both in Arabic and French. The authenticity of the statement has not yet been independently verified, but it bears all the hallmarks of the terror organization. It is understood that one of the perpetrators was known to the authorities. 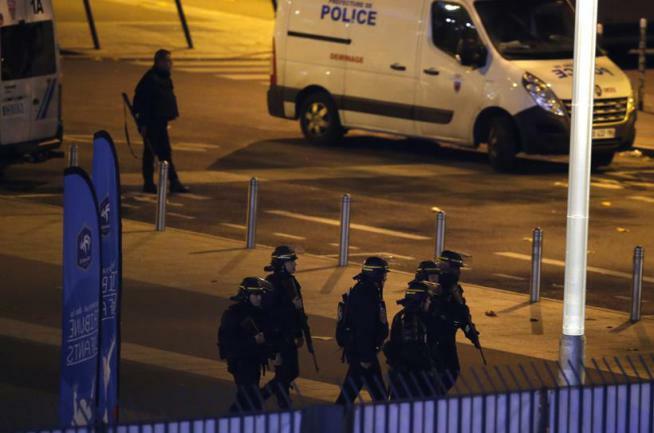 French President Francois Hollande declared a state of emergency in the country following the attacks and said that there would be three days of official mourning. In a blessed attack for which Allah facilitated the causes for success, a faithful group of the soldiers of the Caliphate, may Allah dignify it and make it victorious, launched out, targeting the capital of prostitution and obscenity, the carrier of the banner of the Cross in Europe, Paris… Youths who divorced the world and went to their enemy seeking to be killed in the cause of Allah, in support of His religion and His Prophet, Allah’s peace and blessings be upon him, and his charges, and to put the nose of His enemies in the ground. So they were honest with Allah, we consider them thusly, and Allah conquered through their hands and cast in the hearts of the Crusaders horror in the middle of their land, where eight brothers wrapped in explosive belts and armed with machine rifles, targeted sites that were accurately chosen in the heart of the capital of France, including the Stade de France during the match between the Crusader German and French teams, where the fool of France, Francois Hollande, was present. [They also targeted] the Bataclan Conference Center, where hundreds of apostates had gathered in a profligate prostitution party, and other areas in the 10th and 11th and 18th [arrondissements] and in a coordinated fashion. So Paris shook under their feet, and its streets were tight upon them, and the result of the attacks was the death of no less than 100 Crusaders and the wounding of more than those, and unto Allah is all praise and gratitude. Allah had granted our brothers their wish and gave them what they loved, for they detonated their belts in the gatherings of the disbelievers after running out of ammunition, we ask Allah to accept them among the martyrs and make us follow them. Let France and those who walk in its path know that they will remain on the top of the list of targets of the Islamic State, and that the smell of death will never leave their noses as long as they lead the convoy of the Crusader campaign, and dare to curse our Prophet, Allah’s peace and blessings be upon him, and are proud of fighting Islam in France and striking the Muslims in the land of the Caliphate with their planes, which did not help them at all in the streets of Paris and its rotten alleys. This attack is the first of the storm and a warning to those who wish to learn. ISIS struck with deadly force into the heart of Europe yesterday evening, leaving scores of dead and injured in its wake of fanatic obsession. This morning, the French people woke up to the sound of a silent prayer for those who lost their lives in the atrocity. Mourning will officially go on for three days, though the legacy of sadness and sorrow will last far longer in the hearts of French people, and in the world at large. Major landmarks worldwide have today been lit up with the tricolor of the French flag, and the hashtag #PrayForParis has been setup, to show that the world stands united with France in this day of infamy. Irish Water is poised to undergo a catharsis in its troubled existence. The company is set to lose its top man, John Tierney, who will say cheerio to the spectre of public derision after nearly 40 years of service, no doubt collecting a tidy sum before leaving the building. 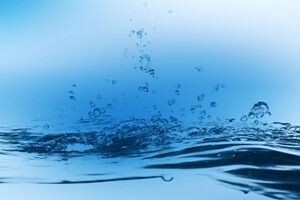 Irish Water itself is gearing up for its new phase of development, and the top brass is reportedly working on a “re-branding” of the company, in an effort to rid itself of its own wretched reputation. The cost of such re-branding has not yet been revealed, but proposals will go before the Government in the near future. The latest poll revealed that 60pc of the population abhor Irish Water and believe it should be removed from existence altogether. Just over a week on from the incident that tragically cut short the lives of 224 people, investigators are now almost certain that a bomb planted on board the aircraft is the cause of the disaster. 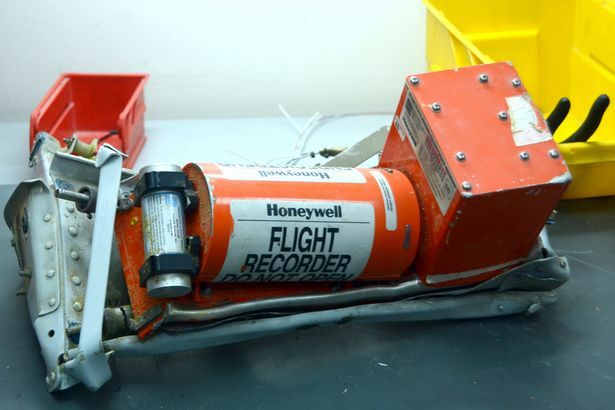 A sudden, loud noise heard on the plane’s Cockpit Voice Recorder just before the recording abruptly ends is believed to be an explosion on board. The Airbus A321 came down without warning 23 minutes after taking off from the Sharm al-Sheikh tourist resort eight days ago. 224 people lost their lives as a result of the crash. The plane’s wreckage was located scattered over a wide area, which is consistent with a mid-air breakup. A group associated with ISIS claimed responsibility for bringing down the airliner, though Russian authorities have consistently refuted these claims. A number of European airlines have suspended all flights over the area in the wake of the disaster. If it is conclusively proven that an ISIS operative or supporter planted the bomb, security measures at airports worldwide are bound to become even tighter. The Season of the Pumpkin’s fast approaching, and those long October evenings ahead offer the perfect opportunity to fire up Netflix and enjoy some good ole’ horror yarns. 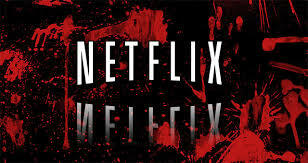 Admittedly, Netflix’s current horror catalogue is rather sparse, and kinda hit and miss. Some of the genre’s true classics are strangely missing. The Exorcist (1973), for instance, or any instalment of the Nightmare of Elm Street or Friday the 13th franchises are conspicuously absent from the streaming service, reasons unknown. But if you’re not too choosy about your horror, there’s still something there for you. Netflix currently holds 174 titles listed as “horror”, so go and take your pick. It’s beyond the scope of this piece to list and review every single item on Netflix’s horror catalogue, so here’s my pick for you. When it comes to cinematographic adaptations arising from Stephen King stories, the results range from the mildly competent to the truly dire. There are a few shining exceptions to this rule, however. Misery (1990), The Shawshank Redemption (1994), and the TV adaptation of Salem’s Lot (1979) readily spring to mind. And to a somewhat lesser degree, The Mist (2007) also ticks all the right boxes. The Mist is based on an eponymous novella by the famous American writer. Its premise is simple enough; a severe thunderstorm knocks out power in the town of Bridgton, Maine. A bunch of townsfolk gather at the local supermarket to pick up supplies, when suddenly an unearthly mist envelops the outside of the premises. It soon transpires that there is something deadly hiding within that mist, and tensions among the survivors locked inside the supermarket soon rise. Apart from the horror elements, the dynamics and interaction of people under duress became one of the movie’s central themes. Out of all the recent Stephen King’s adaptations, The Mist certainly stands out. And the movie’s ending is worth the entry price alone. Slasher movies were once a dime a dozen. The late 70s and 80s in particular were rife with gratuitous blood and gore, often just for the pure gross-out factor sake. Then, towards the early 90s, thirst for such cheap thrills seemed to wane among cinema-goers, and the genre fell into somewhat of a lull. Then, near the end of the decade, the late Wes Craven rebooted the slasher movie genre with a bang. Scream (1996) hit the right chords with audiences and went on to become a huge box-office success, earning $173m worldwide. In fact, it became the highest-grossing slasher film in the US, ever. Partly inspired by the real life events surrounding the Gainesville Ripper, Scream follows the exploits of a masked killer in a “whodunit” fashion. The film was considered somewhat unique at the time, due to the characters’ awareness of real horror films and their attempts to discuss certain horror cliches which Scream itself featured. If you’re into werewolves and the British countryside, this gem is most definitely for you. Beautifully shot around the misty moors of Surrey and Wales, An American… kicks off with two backpacking friends, David Kessler (David Naughton) and Jack Goodman (Griffin Dunne) getting off a cattle truck in a country road in England. The man who gave them a lift points them in the direction of a village called East Proctor, and warns them to stay on the roads and avoid the moors. Later that evening, they arrive at a pub named “The Slaughtered lamb”, and after a seemingly warm initial welcome by the locals, things quickly turn awkward and they are forced to leave the premises. Before they go, one of the locals tells them to “stay on the road, and beware of the full moon.’ Later that night, David and Jack wander off the road and are attacked by a large creature. Jack is killed, and David is left unconscious and in shock. While recovering, David begins experiencing horrific visions, and his dead friend Jack pays him several visits, warning him that he will transform at the next full moon. And indeed David does transform into a werewolf, in a fantastically engaging special effects sequence which rightly earned Rick Baker an Oscar for his outstanding achievement in the pre-CGI era. An American Werewolf in London may be an oldie, but it is certainly a goldie for horror fans. The most recent entry in our pick list, The Babadook is an Australian-Canadian psychological horror film about a grieving widow after her husband’s violent death, and her six-year-old son, Sam, who suffers from nightmares of a monster lurking around their house. A strange storybook called The Babadook finds its way into the home, and Sam becomes convinced that it is the monster he’s been dreaming about. the role of Amelia, the troubled widow, and child actor Benjamin Winspear as her son Samuel. This one is a bit of a personal niche, I admit. If you’re into World War 2 stuff, the supernatural, and submarine warfare, Below is definitely for you. Else, you might want to steer clear for more mainstream horror. At is core, Below is a haunted house film, only set in a World War 2 sub, the USS Tiger Shark. A neat idea. Plenty of claustrophobic thrills abound as strange happenings seem to kill off its crew at an alarming rate. Is the boat haunted? What happened during the Tiger Shark’s last mission? If you wish to find out, go and watch Below now. An interesting piece of trivia, the movie’s director, David Twohy, found far more success with its previous movie “Pitch Black (2000)”, where he introduced the character of the Furyan warrior Richard B. Riddick (Vin Diesel) to the world. Found footage movies were still a relative novelty near the turn of the last century. However, if one looks back far back enough, 1980’s hugely controversial Cannibal Holocaust did arguably kickstart the sub-genre. What nobody can deny is that The Blair Witch Project (1999) did introduce the “found footage” theme to the masses, not to mention its huge financial success at the box office. Made by a bunch of amateurs on a truly shoestring budget of about $35,000, the movie went on to make nearly $250m worldwide. The Blair Witch’s phenomenal success is another fine example that good and honest film making does not require a massive budget to create a classic. And that is it. Sit down in front of the telly, choose your pick, and enjoy.